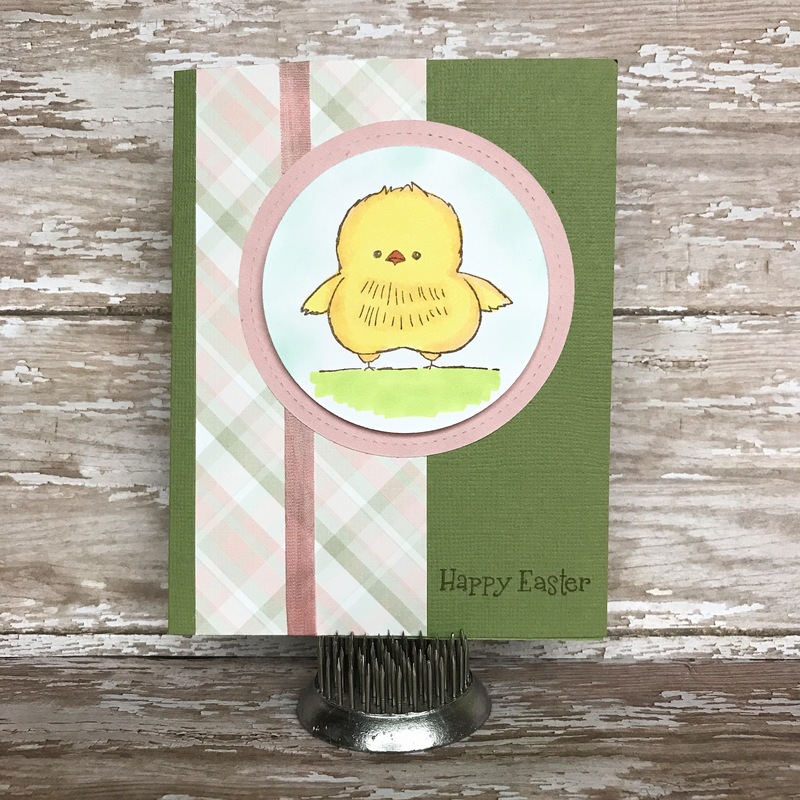 Easter is just a couple of weeks away and this cute little chick is ready to send Easter greetings to those special people! He’s from the Bringing Booty Back set by Unity Stamp Company. I stamped him with brown ink on white card stock and colored the image with Copic markers. I used My Favorite Things Die-namics Single Stitch Line Circle Frames die to cut the circle for the chick. Then I lightly sponged the background with blue ink to create the sky. I used the same My Favorite Things Die-namics Single Stitch Line Circle Frames die to cut the pink frame. 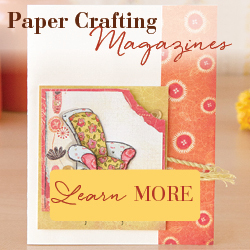 To assemble the card, attach a pink ribbon to a strip of patterned paper and attach the paper to a green card. Attach the pink circle frame to the card. Attach the stamped chick to the card with foam tape. Stamp “Happy Easter” (stamp is an older one from A Muse Studio) with brown ink. This little chick is so versatile! You can see how I used him for a birthday card here. This entry was posted in Cards, Easter. Bookmark the permalink.